WordPress Jo’burg is a group of WordPress experts and enthusiasts from Johannesburg who get together on a bi-monthly basis. The next meetup takes place July 17th at 6:30pm at Flicker Leap. 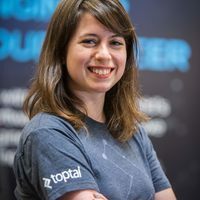 The event will feature a talk from Toptal developer Andrew Collier as well as Emma Collier, developer at Exegetic Analytic. They will take participants through the process of setting up a WordPress installation using Amazon Web Service.